British television and radio personality known for her work with the BBC and for her workout tapes. 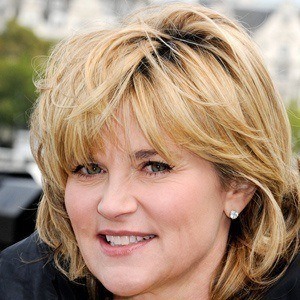 She hosted a reality series called Anthea Turner: Perfect Housewife, as well as children's and music programs titled, respectively, Blue Peter and Top of the Pops. She was both born and educated in Stoke-on-Trent, Staffordshire, where she also began her broadcast career with BBC Radio Stoke. She was a contestant on the 2001 season of Celebrity Big Brother and on the 2013 season of Dancing on Ice. Her first marriage, to disc jockey Peter Powell, ended in 1998. She then married Grant Bovey in 2000. In 1994 on the BBC, she and Noel Edmonds announced the results of England's first National Lottery.